The fact some members of Dutch death metal band Phlebotomized decided to create a non-death metal album is not surprising. But to go for a complex layered progressive and fully instrumental creation, where you can’t hide any faults behind talented clean vocalist, showed some confidence in their abilities. If there were any doubts Letting Go of Uncertainties proved that Emerged founders Tom Palms and Bastiaan Boekesteijn did not waste their time while studying at Conservatory. One usually does not base instrumental metal albums on riffs, as often compositions would sound like songs to which somebody just forgot to write the lyrics, my biggest pet peeve. 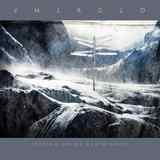 Emerged defy the trend and demonstrate plenty of riffing and heavy chord progressions on Letting Go of Uncertainties – a pretty ballsy approach. Despite my above pronouncements, the Dutch make the whole thing work and defy expectations. When you listen to Dark Corner of My Mind, harsh riffs are followed by tremolo swells and acoustic retreats, which provide for a main theme which Emerged repeat for a few times while creating an undeniable interesting flow. The alarm sounding lead towards the end of Dark Corner of My Mind is a culmination, and no words are needed. Dark Corner of My Mind was enough to capture my attention and create belief that the whole ride will be just as enjoyable. The album provides so many twists and turns with its dual leads, complex harmonies, ebbs and flows, you would not need vocals to comprehend any of this. Just turn on your mind kaleidoscope and start flipping pictures. The atmosphere sometimes goes wistful, as in most proggy Rush-like Emerged, or bouncy playful yet Sabbath heavy at times as in closer Who Am I to Judge. Don’t Speak may be an NWOBHM Iron Maiden gallop growing harsher by the minute resulting in some disturbed drone. The fight between guitar hero and steady riffer is the most obvious in Get a Life where flowing arpeggios fight it out with basic hammering chords, with bass and drums supporting both not taking sides. Torturous melodies are obvious and the whole experience is guaranteed to captivate. Here is 30 minutes well spent if you need to clear your mind and just enjoy the aural background the album creates. The title may be Letting Go of Uncertainties, but upon experiencing it I suggest the more personal and direct Letting Go of Insecurities and Gloomy Feelings. Emerged will do just that to you.